Exciting things are happening in the sky this September. In the middle of the month we will see the New Moon where the earth and the sun are on the same side, and later in September will be the Autumn Equinox when the length of day and night are nearly the same. But the most exciting event in the sky arrives on the night of September 27-28, the ‘Supermoon’ Lunar Eclipse. A ‘supermoon’ is a term Astrologer Richard Nolle created in the 70’s and defined it as “....when Earth, Moon, and Sun are all in a line, with moon in its nearest approach to Earth.” The moon will be in perigee, meaning it will be in its closest proximity with Earth along its elliptical orbit. 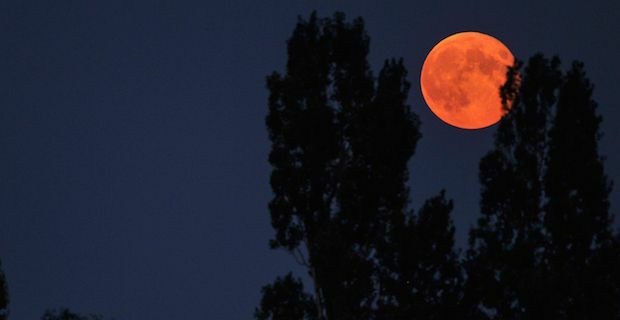 On top of being a ‘supermoon’ there will also be a lunar eclipse occurring as well. The moon will pass into the earth’s shadow and will have a red/copper color throughout the eclipse due to the refracted light from the sun, hence the name “Blood Moon”. This can be seen from Western Europe, the Americas, Greenland, Africa, and the Middle East. On April 4, 2015 there was an eclipse when the moon was furthest from earth and only lasted a few minutes. This eclipse though is predicted to last around 72 minutes and should be completely covered around 3:51 a.m. This will be up to 14% larger and 30% brighter than April’s eclipse. The last time a ‘Supermoon’ lunar eclipse occurred was more than 30 years ago. And according to NASA officials, the next event like this is predicted to occur around 2033. Like most other rare events like this, there are also a few that fear apocalyptic natural disasters and catastrophes.